I was sick of anxiety and sick of it ruling my life. I had a good pregnancy, nothing about it was particularly bad. I was happy, maybe a little nervous but no anxiety. In fact in 2000 I didn’t even know what anxiety was. I was always a go getter, I wasn’t afraid of much. I took risks, flew planes alone, didn’t worry about my health and could enjoy a glass of wine and many cups of coffee. But on October 3, 2000 my world changed. What was a good pregnancy turned in a not so good labor. Twenty four hours, infections, lots of drugs, lots of nothing led up to a C-section. It’s an interesting being cut open on a table and numb from the chest down. The room was bright and sterilized, I was sweating and terrified. It was my first panic attack. The first of many and for many years to come. I thought I was dying on the table, I had sharp pains shooting from my jaw to my arm. In the days and month that followed I was a nervous wreck. Suddenly afraid to be alone, afraid to be around people, afraid I was going to die and afraid my son would stop breathing while he slept. I had my second panic attack the first night I left him alone with my parents. The months went by and I had no answer for how I was feeling. Weird sensations in my head and body, tingling, tremors, feelings of doom as the sunset, it was always worse at night. I wanted to jump out of my skin. My headaches were tumors, my skin rash was deadly, I had visions of my funeral, I developed OCD and worried my paper cups were contaminated with poison, I visited every doctor I could for answers. Life was terrifying, I was certain I was going to die and leave my son to have to live a life without a mother. I finally sought therapy after my doctor suggested I had anxiety disorder but it never really helped. The fear of death and disease was always still there lurking. My panic and anxiety attacks would subside thru the years but come back when I had a major life change like clockwork. I suffered thru them and refused to take any medication due to phobia. The worst bouts were times I couldn’t leave the house, couldn’t drive, couldn’t shop in stores, lights were to bright I had to wear sunglasses inside, I was hyper sensitive to everything, I could even feel the floor moving up and down on the second level of the mall! I suffered like a dog but pushed thru somehow. Until January 2017, I had a dizzy spell after a head cold and it brought me to my knees. I woke up trembling and spent all day trembling. I couldn’t sleep couldn’t eat for weeks. My stomach hurt my head hurt my body literally felt like it was falling apart and my brain was a close second. I visited the ER a favorite pastime of mine from years before, I even took a ride in an ambulance because I “couldn’t breathe” one day while home alone. For a week I sat in the house in my bathrobe. I had to take 1 minute showers with the curtain open because I was afraid to pass out. Always afraid to pass out. Though I never have. Until one morning when I looked at my now almost 17 year old son and said NO MORE. I was sick of anxiety and sick of it ruling my life. I had to get better for me and especially for him. But where to begin? Therapy wasn’t helping books weren’t helping, nothing was! I don’t even remember the moment I stumbled across DARE on the web but every fiber of my being after listening to Barry wanted to be healed. I downloaded the audio book and one night at 2am I laid in my bathrobe feeling hopeless and started to listen. I don’t know if it was just Barry’s voice at first that was so soothing. I almost felt like a kid whose dad was rubbing her back while she fell asleep. Hearing his worlds was such comfort. Something instantly changed inside me and I mean instantly. I woke up the next day and listened more, I listened all the time. In the car, in the shower, everywhere! Within two days I felt completely different. I wasn’t sure of all the step but I started to implement them even in the wrong order at first but it was working! Each time I felt a sensation I would say “oh well” or “yep ok you’re here” and those simple words were changing my life. I accepted, I allowed and went back to work. It wasn’t easy driving or being at work but somehow DARE made it bearable. Within two weeks I really felt the anxiety start to diminish. I drove three hours out of state, I took a new job the required me to sit in traffic three hours a day total. All Barry’s tools work and I am currently listening to the book again because this time I’m not rushing to get thru it to feel better. I can take my time now and get the pieces I may have missed. DARE has no doubt saved my life. I still have some progress to make and some healing to have but I KNOW I am on the right road and without Barry and DARE I’d still be sitting in my bathrobe letting life pass me by! 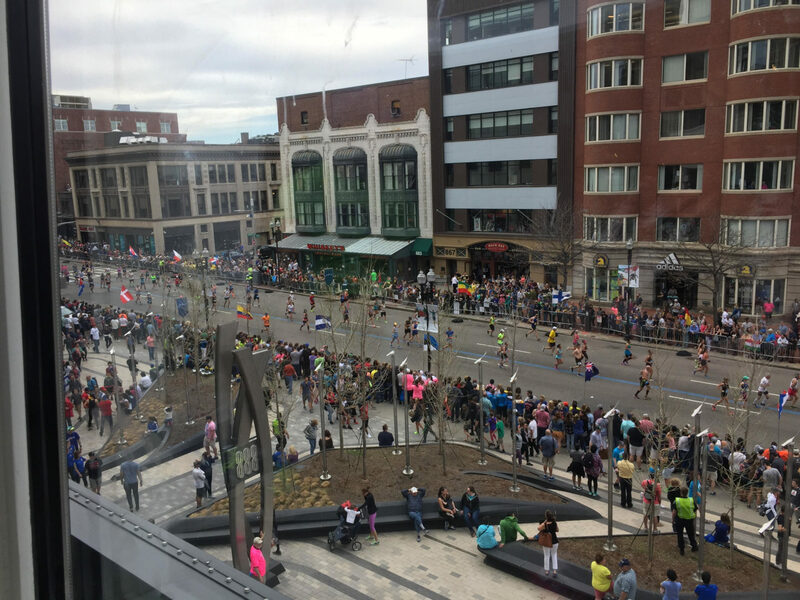 Here is a picture of the Boston marathon 2017! My son wanted to go, so mom dared her way through hundreds of thousands of people without fear to get to the finish line so my guy could take some photos! Can relate on so many levels. I live these success stories and thank Gid for Barry. We are not crazy! We are warriors! I can totally relate to you. I used to panic and go to A&E worrying about dying. I have learnt not to panic if I notice something on my skin or get an ache as these things happen and usually go away. I know when to worry and get advice but I haven’t been to A&E for years. 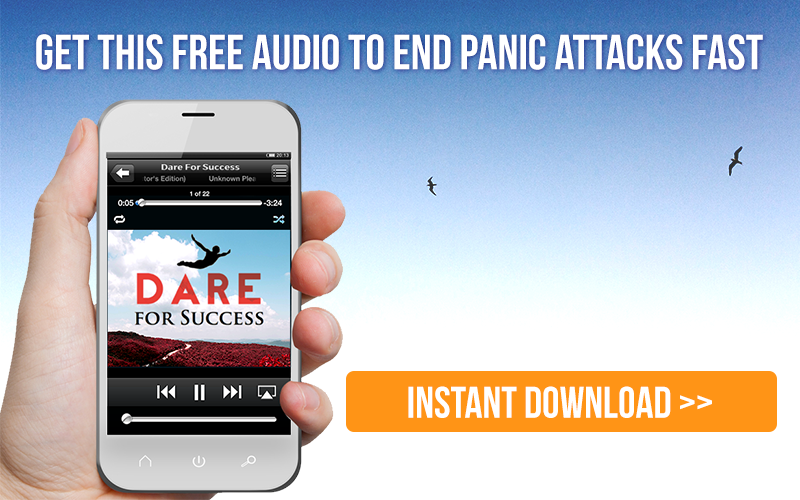 I don’t know how I managed without Dare and its made a huge difference to my life! Great story, I too had suffered in almost all the same pattern. It is always an inspiration to know there is a light at the end of the tunnel. Hi Sussane, Its always good tp hear from you with these success stories. Was wonderimg how can i join the your comkunity group? Especialaaly the face book Now am better can DARE alot but the morning fewling it upsets me alot! Always feeling sick! I’ve read many stories like yours, and I myself been there for more than 30 years. I’ve tried many things, reason why I don’t believe. But I’m starting to think it over. Thank you!!! I read your post regularly for inspiration and to remind me that the battle can be won….this is only a temporary hiccup and hiccups do NOT last forever!? Oh my God this is such a wonderful story that I can relate to very much. Thanks for sharing!!! Thank you so much for posting this. I can totally relate and it brings me to tears to know it can get better. I get these headaches and pains on my left side and am constantly worrying about it, so hoping the Dare approach can help and I can get back to living life to the fullest! From where can I download the audio book? Thanks, so inspiring. I also get anxious when it comes to my health, and as a 56 year old having to come to terms with my body having wear and tare. I have been Daring for over a month now concerning anxiety over health. Your story helps me know there is hope. Your story brought me to tears. Tears because your story sounds a lot like mine, and tears because you gave me more hope to get through this. I too had an emergency C-Section 3 months ago and I came down with post partum preeclampsia two days after being discharged. It was the scariest experience in my life. Anxiety then took over my life. I downloaded the DARE app and have been using it time to time which has already helped but I am excited to dive deep into it and finally get back to living a free life. Thank you for sharing your story. I still have moments of anxiety but I can instantly recognize it. I know when my body is saying slow down and if a get a seird body sensation I now know what it is and I still have to say oh hi…you’re trying to come back but i know who you are and it fades quickly. Do the work , go deep, dedicate yourself to it even during the hard times. Barry is a genius and this book is life changing. Answer to Zainab if you still don’t found out. Look for DARE online and you will find a lot of information about it. There are a couple of books, although I am not sure you can download them. However there are several options of videos via your phone for $9.00 a month to any country. Some are free but if you sing into the email section Barry will send lots of emails to support you and you will learn more. You can also get information on him on Utube and also for a lady called Claire Weekes whom worked in the same way and there are a lot of her interviews which are also interesting. You can get her books very cheaply via Amazon and she has a couple of CD/s. Hopefully though you had an answer when you first wrote.